Institute policies are created and approved through a shared governance process. A further description of this process can be found on the Academic Senate, Staff Council and Student Government websites. 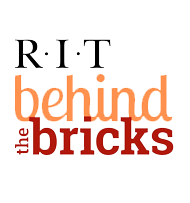 In 2005, the RIT shared governance organizations approved the Information Security Policy which vested the Information Security Office with the role of leading the RIT community in the creation, approval and implementation of Information Security Standards. Core Teams composed of subject matter experts meet to create draft standards that are supportable and comprehensive. The Information Security Council reviews and approves proposed standards. The Information Security Council is composed of representatives from across the University. The Information Security Council representatives also serve as coordinators in their departments to facilitate the implementation of standards.